Whatever word we put to it – Source, God, The Universe, the underlying fabric that makes up all-that-is – IS… ever-evolving, infinite creation. These fundamental, base structures of geometries are what make up our universes, atoms, a blade of grass and our very consciousness. It is infinite expression, much of which transcends our perception of what is real – it exists outside of 3D concept. Now, fractal this back down to your life. You and I and everything are fundamentally made up of the same geometries of creation. Something like an alien, a conscious being that exists outside of time, a fairy or even a thought, idea or concept are, at their core, a different expression of the same energy. “Seeing is believing” is not how it works. Believing allows you to see. Physicality is a product of the mind. Consciousness is something we are just beginning to understand scientifically, yet it is something to be understood intuitively – that is the intelligence of our heart. Doing the introspective, emotional work alongside actually researching, discerning and gathering data objectively – brings you to the truth. It is not anyone’s truth, it is obvious to all who look. A simple expression of energy like a Grey Alien who interacts on our planet is not an opinion – it’s a regular occurrence. We are collectively coming to the end of a cycle where ideas of tradition, cultural norms and social constructs have limited our potential. We are so much more than a physical vessel, and when you really feel that at your core, no scientific study or tangible proof is needed, it’s just as real as anything. Everything exists, creation is infinite: Aliens exist and have been interacting on our planet for some time now. There’s many that want to openly contact us but we are not collectively ready. Discern what resonates with you and what doesn’t; this is not about convincing. See what’s really going on. A citizens hearing on UFO disclosure was held at the National Press Club in Washing, DC. 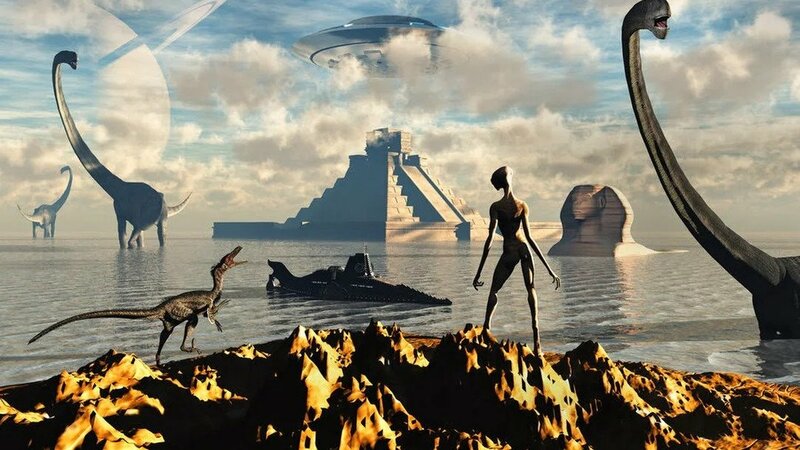 A number of professors, historians, scientists, high ranking political and military personnel gathered April 29th to May 3rd to elaborate on the ongoing reality of extraterrestrial life. Here are the thoughts of the congress men and women who open mindedly understood the information on the existence of aliens. Okay and for you who like to dig deep, see all the sides and take in all the information, this video is worth a watch. The point isn’t to immediately make decisions, jump to conclusions or even take everything as a truth. When you get down to it, contradicting ideas, impossible thoughts and everything already exist, so the information in this video is as only as “out there” as you deem it to be. You are a creator, what you deem anything to be, it is to you.